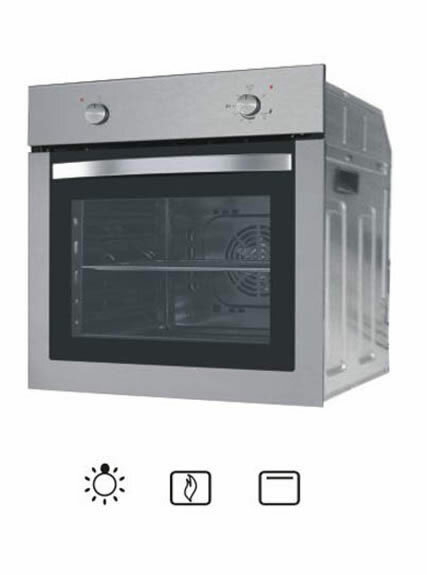 Electric gas oven, a kitchen appliance, uses radiation from electric heating components to cook food. It continually distributes heat precisely so cooked foods, such as biscuits, scones or pizza, can remain delicious on the inside and crisp on the outside. 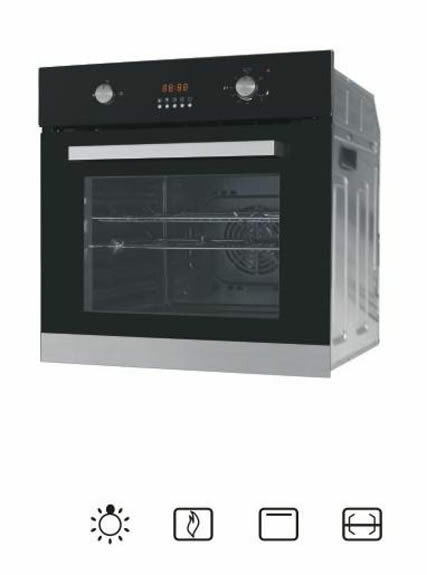 As a specialized manufacturer in China, Vanward China build-in oven achieves better multi-rack cooking performance and efficiently distributes heated air in four directions. Rapid preheat also takes time out of waiting for your oven to warm up by preheating 25% faster. 1 .Unique design to distribute heated air more efficiently and evenly. 2. 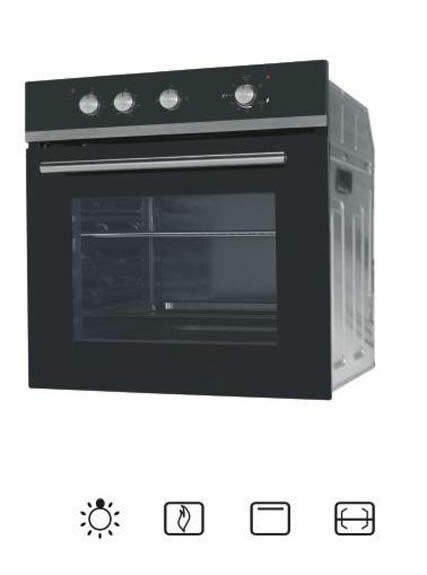 Auto shutoff: Turns off the oven to ensure safety if it's accidentally left on. 3. Stainless-steel finish: durable, clean and not easy to rust. 4. 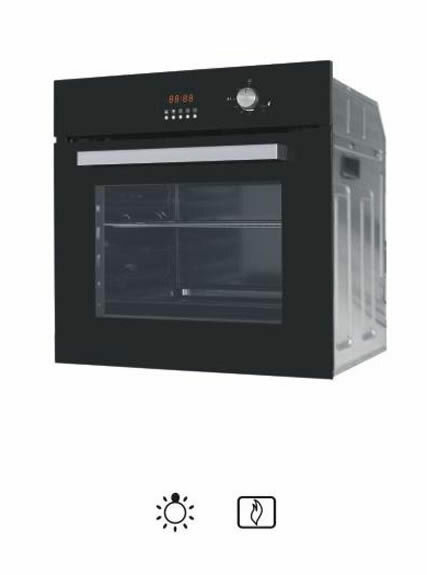 The China Build-in oven is with timing device. 7. 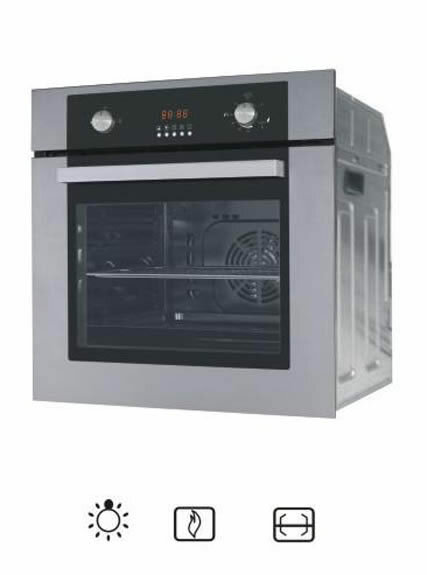 Customized order and OEM/ODM services for built in ovens are available. 1. For personal safety, the oven must be properly grounded. Use a grounding type wall 3-pins receptacle with the plug that comes with the electric gas oven. 2. It needs cleaning the first time you use your oven. 3. Before baking your foods, set the temperature first. And then preheat the oven for about 10 minutes. 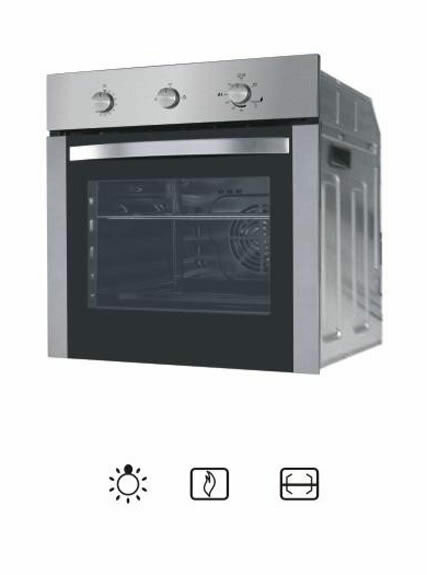 Avoid preheating overtime, which may reduce the oven’s life time. 5. Only clean the oven after it has completely cooled down. 1. Only spray and clean the interior of the oven after it has completely cooled down. 2. Please use mild detergents to clean oven rack and tray. Scrub the oven racks in the soapy water. Rinse them off and dry them, then replace them in the electric gas oven. 3. Avoid using abrasive scrubbers or chemicals in your oven. These may cause damage to the porcelain. 4. Use a soft and wet cloth to clean the interior of the China build-in oven.